With these tools, you can thread both large-sized and small-sized needles and also sewing machine needles. 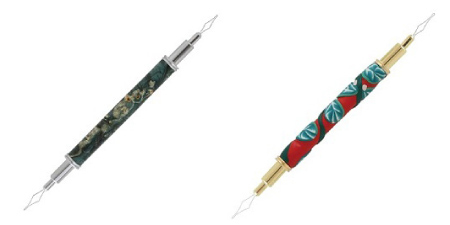 The needle threaders are removable and reversible for protection and storage. Made from sturdy steel wire and 2 wire sizes are included (thin and thicker) to handle all of your threading needs. Replacement wire holders are available as an option when needed.